HomeAviation and Aircraft VideosCorn Field ‘Bush Flying:’ Why We Fly! Learn what happens when you make videos and meet ‘cool people.’ This video feature by Epic Perspective , brings memories back home to me when I flew with a pilot-friend who chose to ‘waterski’ his ’48 Stinson over a river without hitting power lines. This cigar-smoking Czechoslovakian was a heart-stopping wild man in the cockpit who made airplanes on the weekdays at Cessna Aircraft and flew like there was no tomorrow on the weekend. Obviously safety is to be exercised at all times for all concerned while enjoying the rare experience of flight! 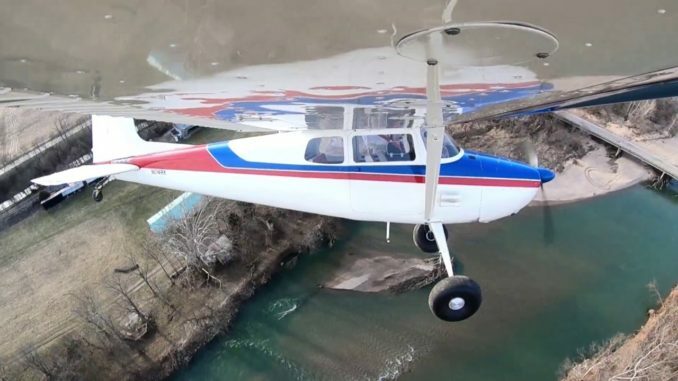 AOPA Live This Week – April 11, 2019!